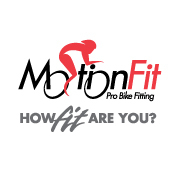 I recently had a professional bike fit by Coach Kameel and I came away thoroughly impressed and loving my bike even more. Although I had the bike for a year and put over 3,000 miles on it with no problems I always wondered if it was properly set up for me. It turns out it was not. Coach Kameelâ€™s adjustments improved my power output, my comfort on the bike and even made my breathing easier. Not only was the result impressive, but the entire process was interesting and enjoyable. Coach Kameel took his time and clearly explained what he was doing at each step. He answered all my questions and even passed on some valuable tips on bike maintenance. The experience felt more like spending time with a knowledgeable friend than having a stranger work on my bike. I would enthusiastically recommend Coach Kameel to anyone considering a bike fit. Not only was the result impressive, but the entire process was interesting and enjoyable. Coach Kameel took his time and clearly explained what he was doing at each step. He answered all my questions and even passed on some valuable tips on bike maintenance. The experience felt more like spending time with a knowledgeable friend than having a stranger work on my bike. I would enthusiastically recommend Coach Kameel to anyone considering a bike fit.